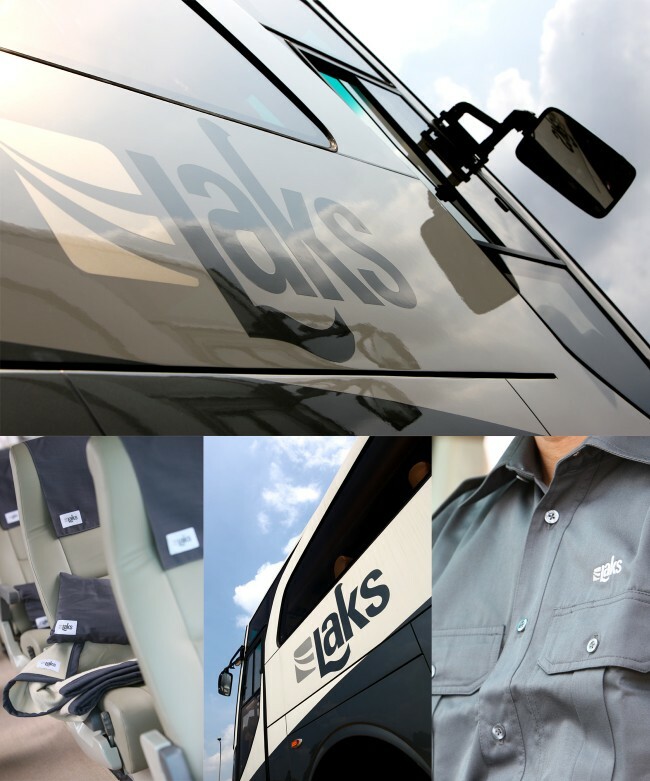 Laks is a luxury charter bus company based in Jakarta, Indonesia. 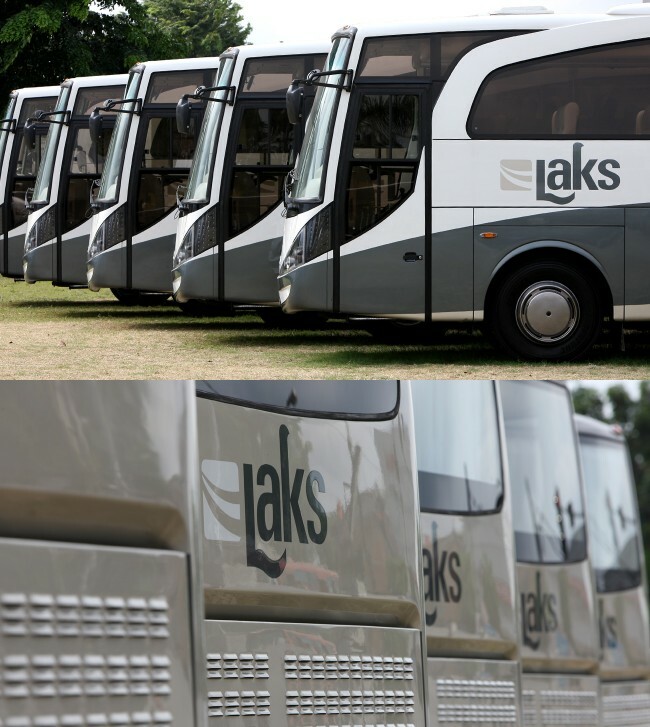 Tarek Atrissi Design was asked to develop a branding solution for the new bus company and to design the livery of the various bus types they operate. The challenge of the project was to design an identity that reflects the luxurious standards of the private transportation. More important, the challenge was to make sure the design is applied in the right way on the buses in order to achieve the high-end desired styling. The design process happened hand in hand with the production process in order to create the exclusive image for the various offered luxury coach bus types. The metallic chosen colors for the brand were based on the best available paint colors that can be actually used on the Mercedes bus models. 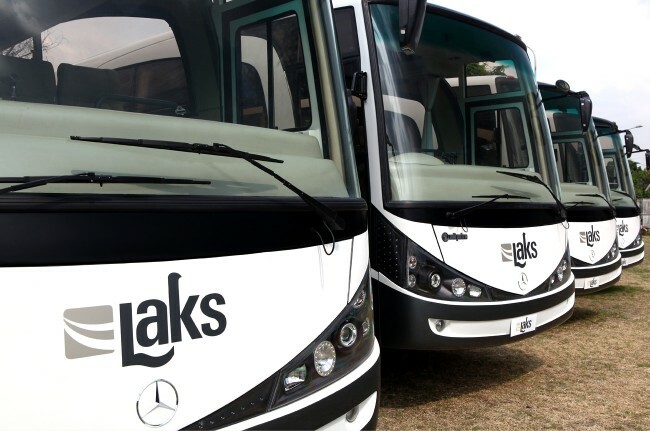 The logo, which consisted of a typographic wordmark and an abstract icon, was adopted on the large bus livery and on the smallest details within the bus such as the drivers costume, the seats and the passengers’ pillows.